A Review on Challenges and Opportunities of Water Hyacinth. This paper reviews the major existing challenges and their possible mitigation of water hyacinth. Water hyacinth (Eichhornia crassipes) is a cosmopolitan invasive aquatic plant which can tolerate a wide range of environmental conditions such as temperature, humidity, illumination, pH, salinity, wind, current and drought. The plant is morphologically plastic with a rapid mode of vegetative propagation that makes it well adapted to a long distance of dispersal and colonization under diverse ecological conditions. Origin of water hyacinth on the African continent was first reported in Egypt between 1879 and 1893; in South Africa in 1908, Zimbabwe in 1937, Zaire and Sudan in 1957, Senegal in 1964, Ethiopia in 1965, Nigeria in 1983 and Uganda in 1987. Water hyacinth has a multitude of direct and indirect effects. The main problems arising from the growth of Water Hyacinth in thick mats are: an enormous water loss through evapotranspiration, that alters the water balance of entire regions; the impediment to water flow, that increases sedimentation, causing flooding and soil erosion; the obstruction of navigation; hampering fishing and dramatically reducing the catch and the source of food and income for local populations; a drastic change in the physical and chemical properties of water and in the environment in the water bodies invaded, with detrimental effects on plants and animals; the reduction of the activity of electrical power stations, jeopardizing the power supply of the country and a serious threaten to agricultural production, following the blockage of irrigation canals and drainage systems. Although water hyacinth is seen in many countries including Ethiopia as a weed and is responsible for many of the problems outlined earlier in this fact sheet, many individuals, groups and institutions have been able to turn the problem around and find useful applications for the plant. 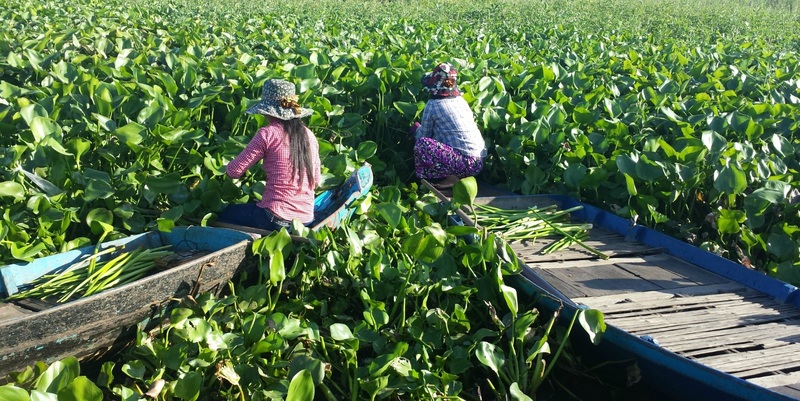 Water hyacinth has received much attention in recent years due to its potential benefits as animal fodder, aqua feed, water purification, fertilizer, biogas production. There are several popular control mechanisms for preventing the spread of, or eradication of water hyacinth. The three main mechanisms used such as biological, chemical and physical control. An Overview of Application of Animal Biotechnology in Africa: A Promising Approach for Life and Genetic Improvement of Farm Animals. Biotechnology is defined as ‘any technological application that uses biological systems, living organisms or derivatives thereof, to make or modify products and processes for specific use'. There is no doubt that technology had a major impact on rates of genetic improvement in dairy cattle and is just as important to the structure of animal breeding programs. The new techniques for understanding and modifying the genetics of living organisms have led to rapid adoption and large investments in biotechnology research and development. Most of this development is taking place in North America, Western Europe and East Asia, with the United States far ahead of the others. However, a diverse range of developing countries, from the technologically advanced like Brazil, China, India, Malaysia and South Africa to the technologically less advanced like Egypt, the Philippines and Vietnam are also investing a significant part of their total research and development resources on agro-biotechnology. But the least developed countries are lagging far behind, with the very modest investments that have been made in countries like Kenya, Tanzania and Uganda originating mostly from a few donor agencies. The techniques that are currently available to reach this end can be divided into two different groups. The first group includes all technologies that interfere with reproduction efficiency. The outcome of these technologies is an increased breeding accuracy, selection intensity and, in some cases, a shortened generation interval. The second group of applications is based on the molecular determination of genetic variability and the identification of genetically valuable traits and characteristics. 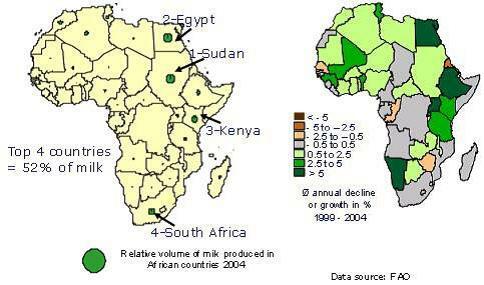 Although; there is growing trend for genetic improvement and production of livestock especially in the dairy sector, African countries are the least investors in research and development of animal biotechnology. Artificial insemination is the first generation animal biotechnology introduced in cattle in the fifties and other reproductive animal biotechnologies are lagging behind to be practiced in the developing world. The growing dairy production observed from north, east and South African countries can be enhanced by capacity building, research and application of animal biotechnology options beyond artificial insemination. Effect of Dietary Scutellaria baicalensis Root Water Extract against Piscicola geometra Infection of Cobia. Nurhanida Rizky P, Cheng T-Ch, Nursyam H.
Piscicola geometra is an ectoparasite and the causative agent of infection in fish. Heavy infestation of P. geometra significantly causing mortality and serious economic losses to cobia industry. However, no single drug available today has used for the treatment or prevention of P. geometra infestation in fish. Water extracts of Scutellaria baicalensis root were evaluated for their effect on cobia infected by P. geometra. Fish were divided into two groups (group A for healthy fish and group B for infected fish) before being fed for 30 days with 0% as control, 0.5%, 1%, and 2% of S. baicalensis. Cobia growth performance, mortality, and total number of parasite infestation on fish were investigated. Result showed that infestation of P. geometra significantly reducing the growth performance and survival rate of cobia. Cobia fed with 1% S. baicalensis showed highly significant differences (P < 0.05) in growth performance (group A and B) and the number of parasite infestation (group B) compared to their respective controls. However, the growth performance of cobia fed with supplemented extract showed no significant differences in group A at the lowest concentration (0.5%) and the highest concentration (2%). Meanwhile group B showed significant different in growth performance among the treatment group (P < 0.05). This study demonstrated that S. baicalensis root water extract administered as a dietary supplementation is one of the most practical methods to prevent P. geometra infestation in cobia culture.